We create a full-service property management website solution for your PM company and customize it to your needs. Our SEO optimized system lets you add unlimited property listings, tenant request forms, accept and process rent payments using authorize.net. We can even synchronize your Appfolio listings to your website which increases the SEO for your website. Click here to try out the best property management website template today for FREE. 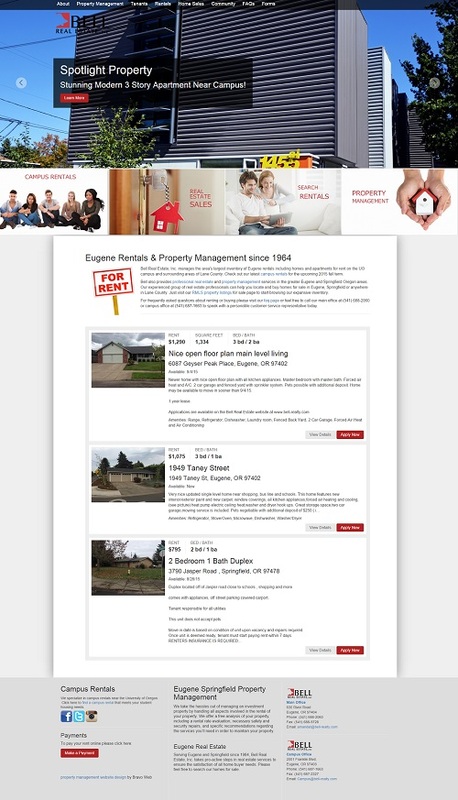 We perform routine tasks and add content to the property management website template which keeps it active and up to date. This helps to keep it visible in the search engines. We also monitor your site and make changes based on traffic reports in order to improve your search position, capture more signups, increase sales, and automate business processes. If you have special requests or additions you'd like us to handle, 90% of all the website maintenance we do is same day service. Whether you need assistance with listing a new property, a completely new property management website, or a complex system update or 3rd party IDX connections, we have you covered.